Stones speak of identity of a place and time. 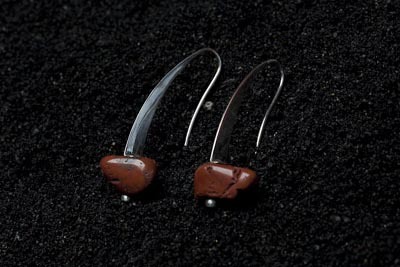 Each one is a piece of an evolving jigsaw, derived from earth and fire. Together, their individual shapes and colours form this young and stirring land. 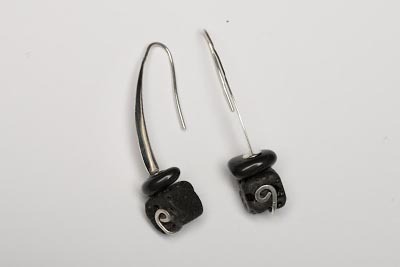 Each earring is made from one continuous cast silver piece threaded through stones and lava. No pair is the same. Each is an identity of place and origin. Approx. 4.5 x 1.4cm each.